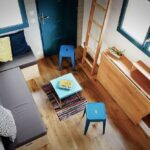 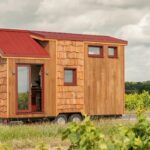 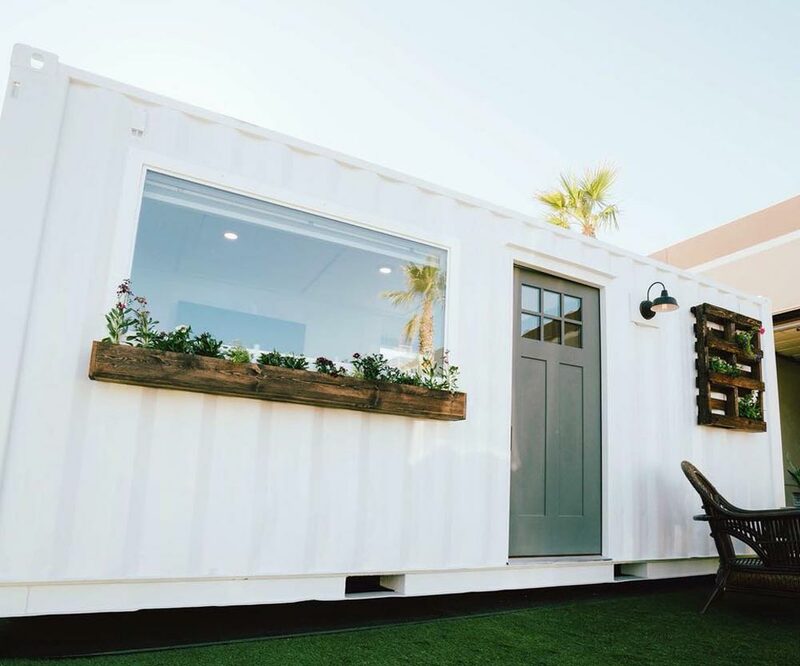 The City is a rustic chic shipping container home designed and built by Alternative Living Spaces. 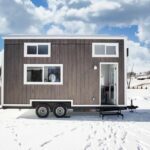 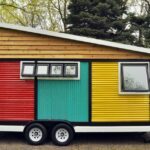 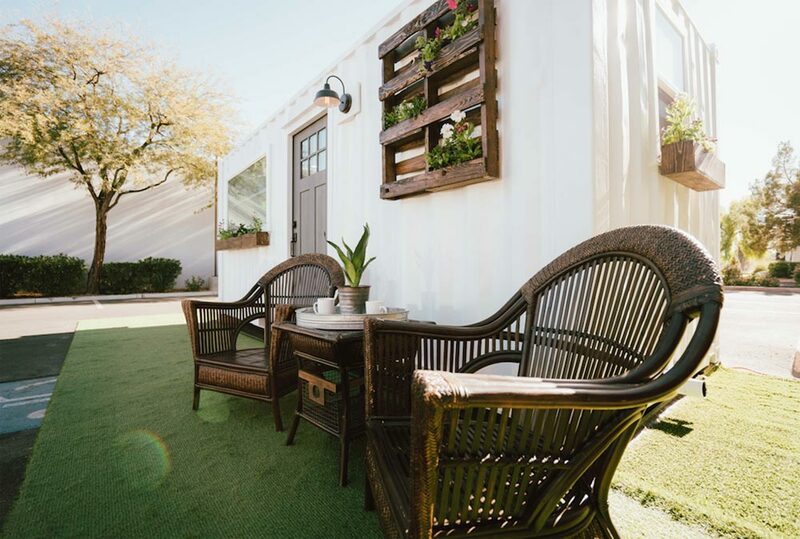 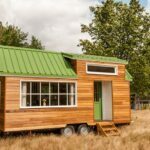 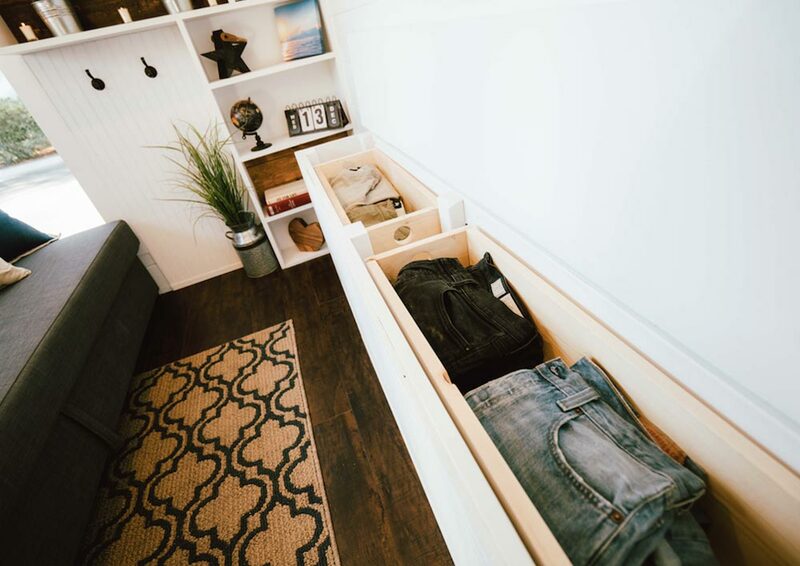 The Las Vegas-based builder used a standard 8’x20′ shipping container to create this 160-square-foot home. 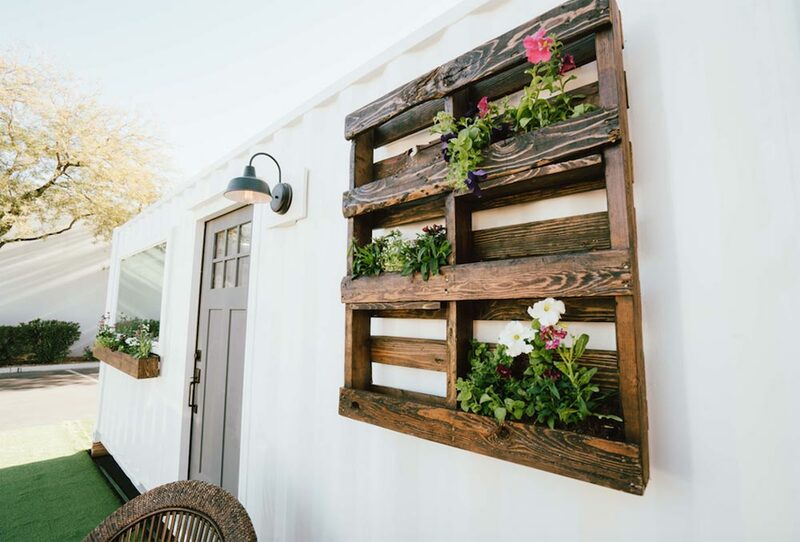 The exterior is solid white with a window box under the front window and a repurposed wood pallet for flowers on the other side of the door. 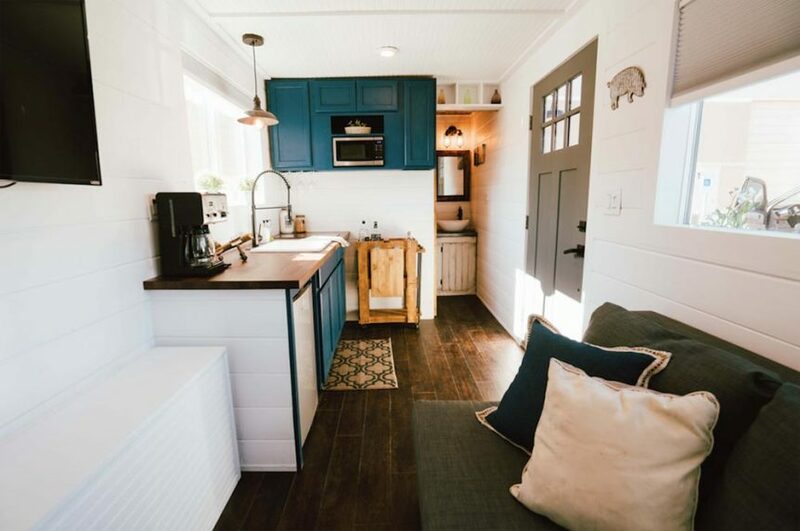 The entry door is located in the center of the unit. 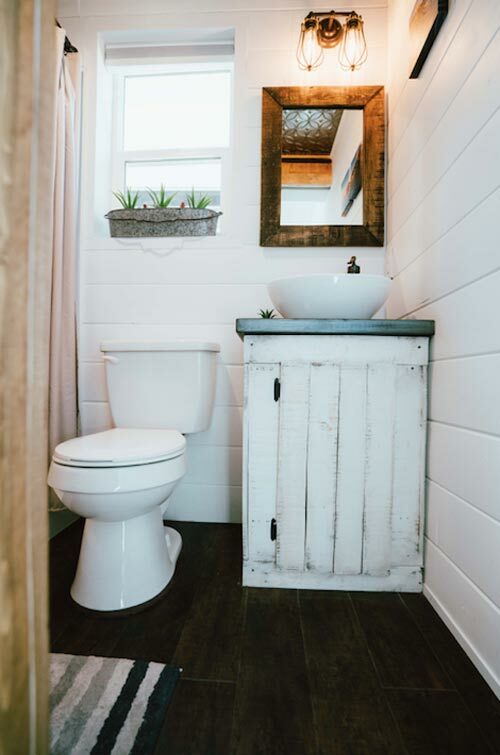 Inside the City model are shiplap walls, dark floors, and a barn door for the bathroom. 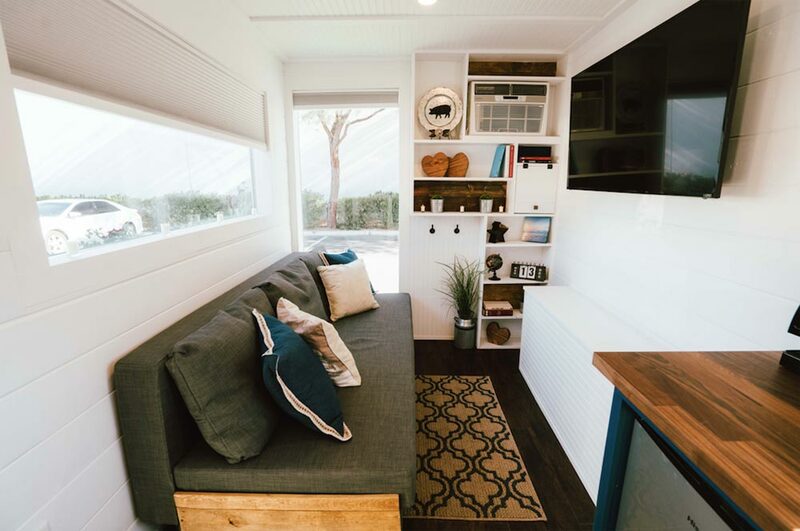 The living room has a slide-out sleeper sofa, built-in shelves and storage chest, and room for a big screen TV. 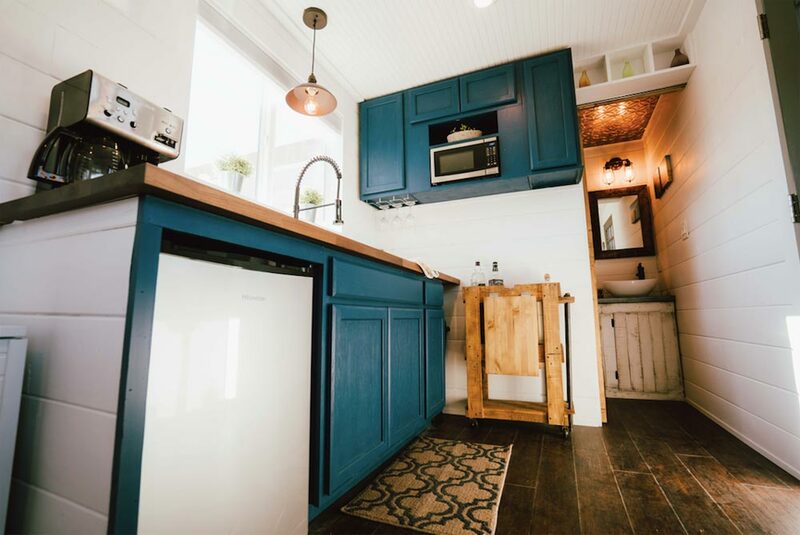 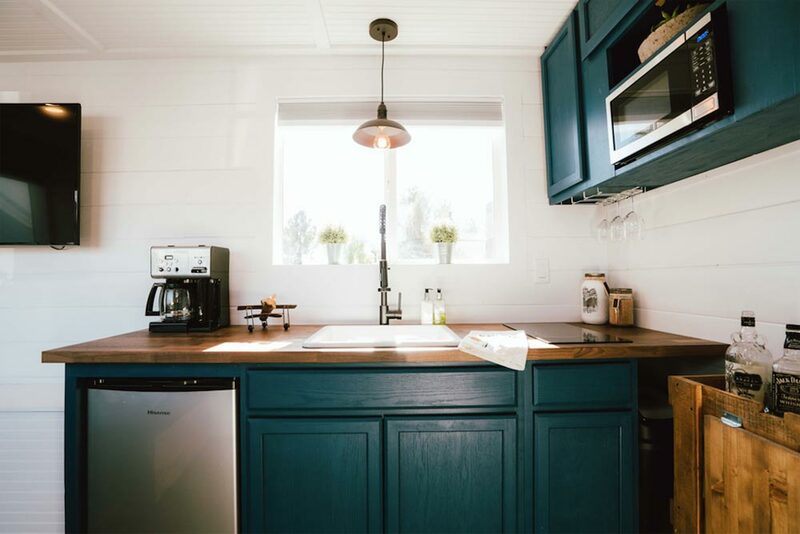 The kitchen includes an under-counter refrigerator, electric cooktop, and microwave. 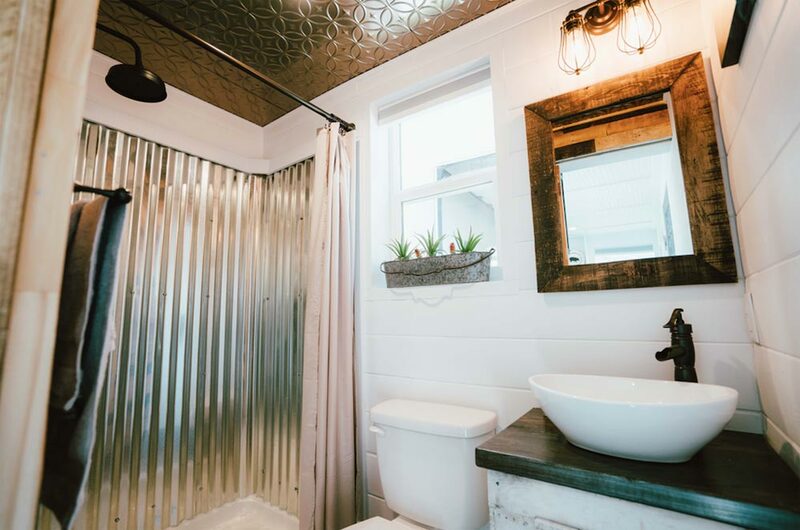 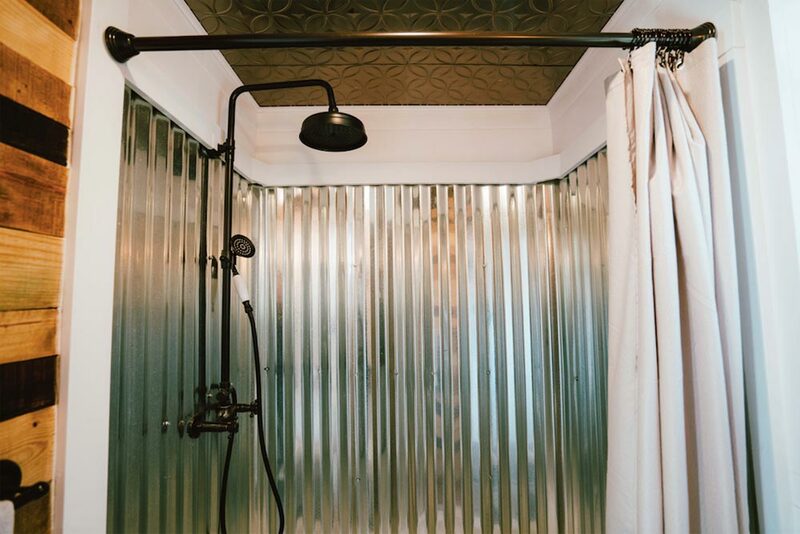 In the bathroom you’ll find a corrugated steel shower, toilet, vanity, and mirror. 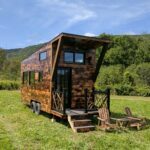 Prices start at $36,000. 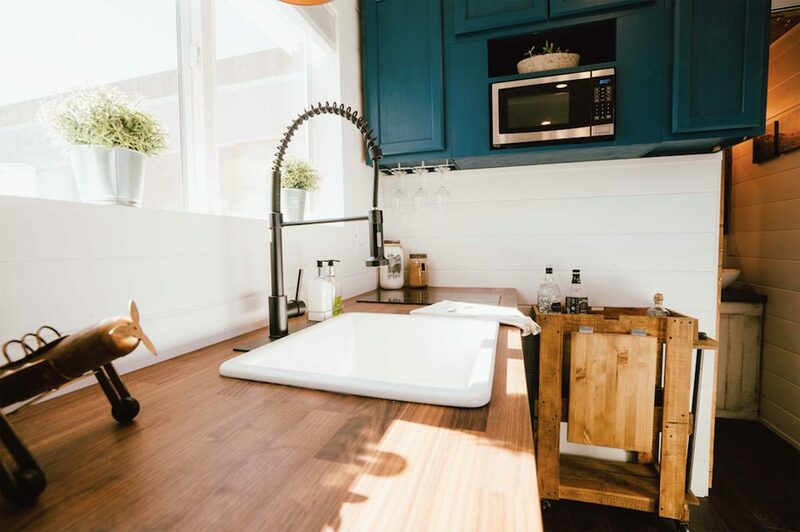 For more information about the City, you can contact Alternative Living Spaces.